We had an excellent stay in this accomodation. Pablo, the owner was very helpful and offered us a lot of interesting info about the island (places to visit, good restaurants,... ). The house was clean and confortable. It had everything that we needed. The bungalowpark was quiet and well maintained and had a lovely swimming pool. 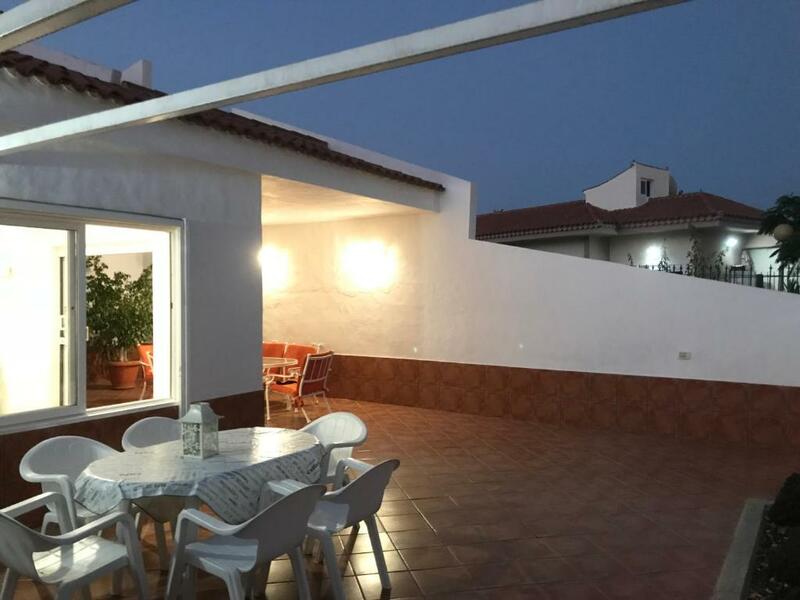 The location of the accomodation was excellent ( close to the commercial centers in Playa del Ingles and the beach of Maspalomas). Definitely a place to recommend! Das der Gastgeber für uns schon eingekauft hat hatten wir auch noch nie. Danke Pablo. 🙋‍♀️ Und Danke für die Boarding Pässe die du für uns gedruckt hast - hat uns eine Menge Mühe erspart. Gut war auch das das Haus am Ende liegt - so hat man Ruhe 😀. Ruhige Wohngegend. Schönes Pool. Strand mit dem Auto in 10 Minuten zu erreichen. Mit Mietauto zu empfehlen. Mit Kinder sehr zu empfehlen. Vi var en familie på 4 i 3 generationer. Vi havde meget glæde af den store terrasse med 2 siddegrupper. Huset passede rigtig godt til vores formål. Værten var effektiv og hjælpsom og altid til at få fat på, når vi havde spørgsmål eller problemer. Villa muy cómoda, completa y muy buena atención de Pablo. Parasta Lovely Villassa on ehdottomasti upea patio ja majoituspaikan rauha. Paikan omistajalle kiitokset ystävällisestä palvelusta. Läysimme myös tennislomamme tärkeimmän paikan eli tenniskeskuksen melko läheltä huoneistoa. Absolut top Lage. Sehr ruhig. Schöner grosser Gemeinschaftsswimmingpool, den wir die meiste Zeit für uns alleine hatten. Lock in a great price for Lovely Villa + Pool in Maspalomas – rated 9.2 by recent guests! 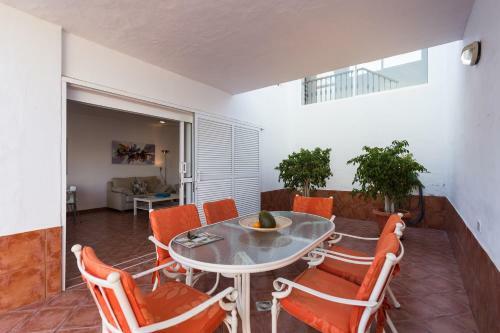 Featuring garden views, Lovely Villa + Pool in Maspalomas provides accommodations with a terrace, around 2.8 miles from Aqualand Maspalomas. 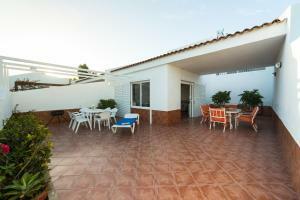 It is located 2.5 miles from Maspalomas Lighthouse and has free WiFi. This air-conditioned 3-bedroom vacation home comes with a seating area, a satellite flat-screen TV and a kitchen with a dishwasher. The vacation home also has a bathroom. 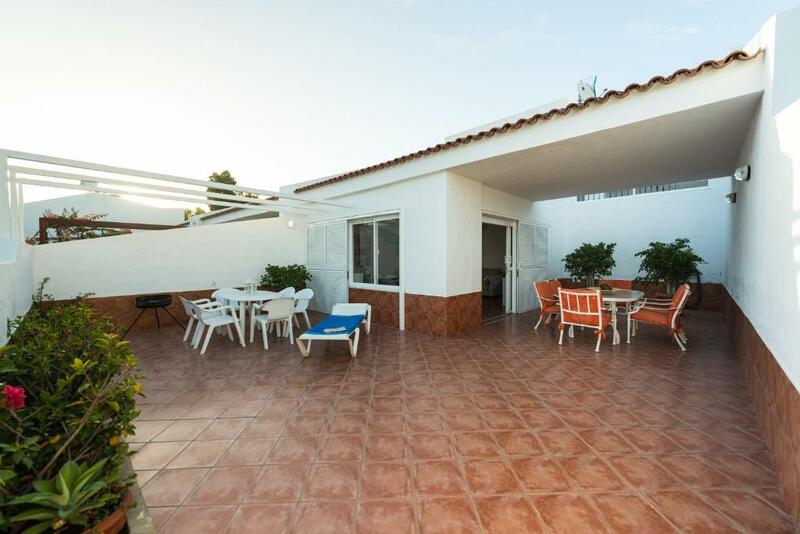 Palmitos Park is 7 miles from Lovely Villa + Pool in Maspalomas. 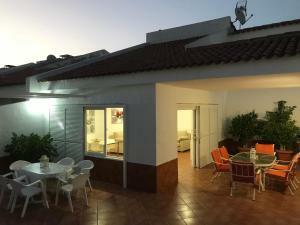 The nearest airport is Gran Canaria Airport, 21 miles from the accommodation. When would you like to stay at Lovely Villa + Pool in Maspalomas? This holiday home has a microwave, washing machine and tea/coffee maker. 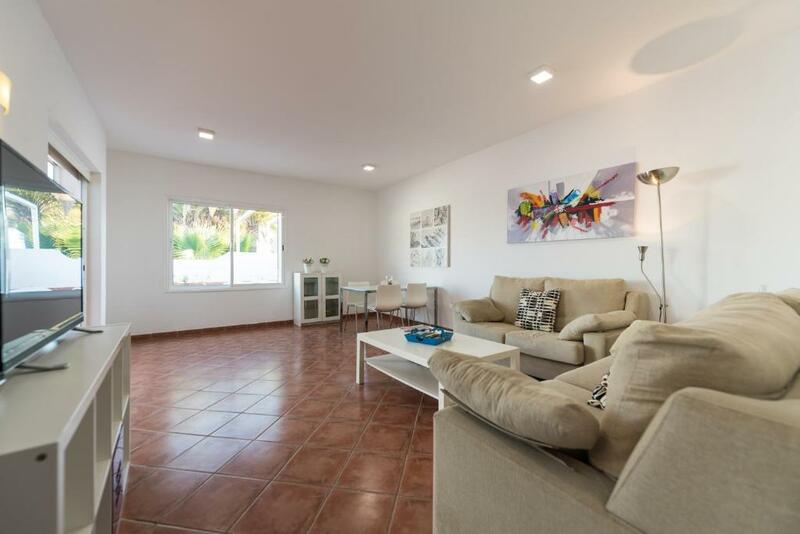 This bright and modern stay is situated at a private residential complex in Maspalomas very quiet. 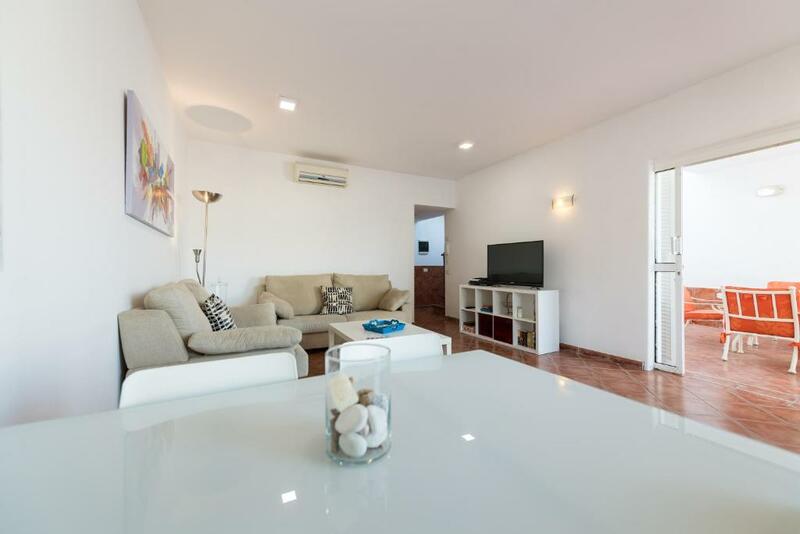 The bungalow consists of 3 double bedrooms, 2 bathrooms each with shower and a living room with comfy sofas and smart TV 55" with NETFLIX, YOUTUBE, internet... The private terrace features sun lounger and barbecue. Wifi high speed and unlimited and air conditioner are provided. Native of Gran Canaria, passionate about my island, its corners and its nice people, in love with its beaches and gastronomy. I offer you my homes for your enjoyment and feel like home. Thanks to my open and friendly character and my language skills I will help you to make your stay magical, recommending the best places to visit, restaurants and entertainment areas. Do not hesitate to contact me! 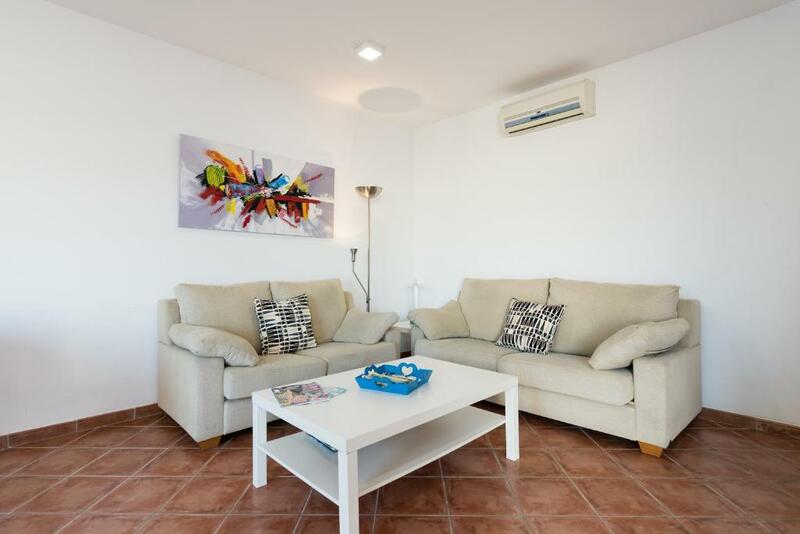 Maspalomas is a quiet resort, with a gorgeous sandy beach and a great selection of bars restaurants and cafes, all to be found within a 20-minute walk of the apartment. 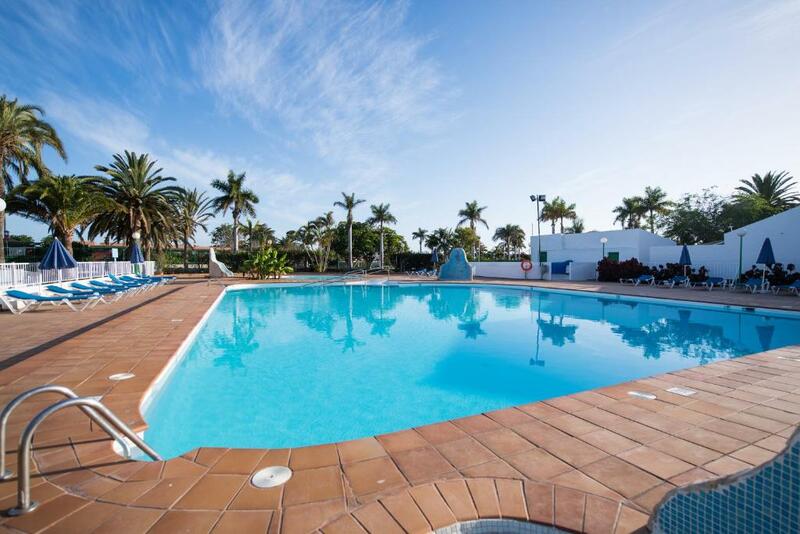 Maspalomas Golf Course is just 5 minutes away on foot. House Rules Lovely Villa + Pool in Maspalomas takes special requests – add in the next step! Lovely Villa + Pool in Maspalomas accepts these cards and reserves the right to temporarily hold an amount prior to arrival. If the speed of hot water supply and the pillow quality can be improved a bit, then it would be perfect. The only disadvantage that we experienced, was that there were only 2 keys for 6 persons which wasn't really practical.